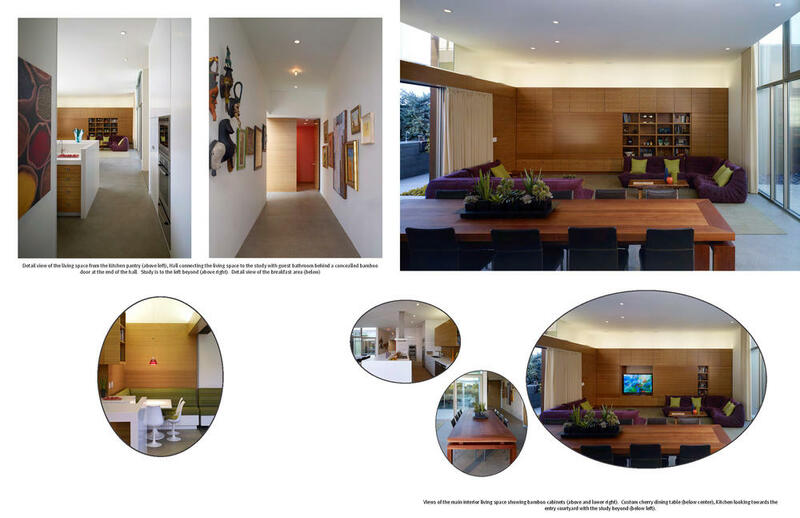 Located in Venice, California, a team of designers, architects, contractors and solar setups turned a resident remodel into a family home and office combination that is a near record breaker on the efficiency scale. 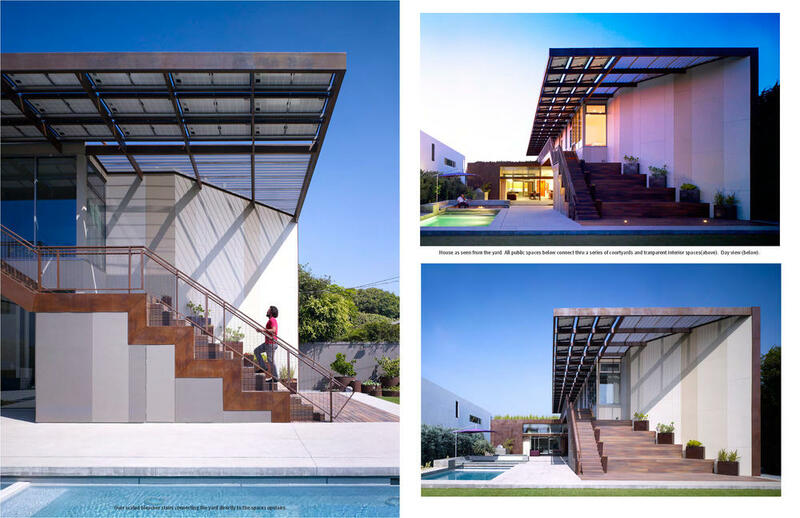 Called the Yin Yang House, it has enough green features to make sustainable design lovers drool. The massive renovation was assembled from fully reused or highly recycled content and local materials. Only ethically gathered woods were used in both indoor and exterior finishes, and there was also a focus on reduced chemical usage with all surfaces. Additionally, during the building process at least 80% of the waste created from the construction was recycled. 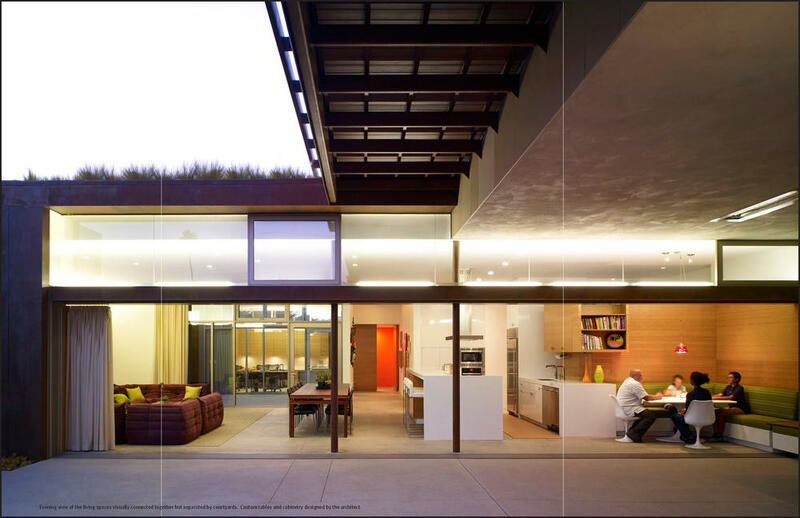 Incorporating a passive design the structure is compactly, resourcefully built and reportedly has a decreased energy amount of over 50% when compared to a traditionally built home. Aiding this is a solar arrangement that is extensive enough to fulfill all of the electrical necessities of the entire house. There is also no automated indoor cooling, so this saves energy normally used for this by more than 75%. There is a solar hydronic heating system and the internal insulation was made from cellulose. Adding to the effectiveness is a bioclimatic design and a rainwater filtration system that is employed through the home and outdoors. There was also attention to landscaping details, like using permeable gravel instead of flat surfaces, that aids with water runoff. Topped with a green roof, other strategies used included shading techniques such as putting panels and other outdoor coverings where they would enhance cooling. Also, things that are relatively simple to do in any new construction, like placing windows for optimal cross ventilating, adds to the conservative nature and functionality of the space. The home also incorporates a social aspect that is reflected in its arrangement. Part of the plan is that the bedrooms were designed differently than typical newer constructions in that they are smaller in size. This reserves more floor space for communal areas that are more conducive to family gatherings. Though the home sounds like an energy efficient fortress, it is also made to bring the outside in with its naturally sunny, spacious layout and a garden that is said to invite tons of hummingbirds. The Yin Yang House is certainly a remodel with a kick. All of this and the visual output isn’t too shabby, either. All images of the Yin Yang House are provided by John Linden, from The American Institute of Architects.